The staff of FXESTrader.com has over 15 years of extensive experience in the fields of trading, portfolio management and strategic asset allocation. Stephen Vettorel is the Founder, Head Trader and Portfolio Manager of Benchmark Wealth Advisors, LLC. The firm is a fee only CA registered Investment Advisor (RIA). He is a recognized expert in Auction Market Theory and its practical implementation in framing the market via Market Profile®. Steve has a large following on Social Media. He is also a preferred educational partner of Linnsoft (Investor/RT®). He utilizes their Market Profile and DeltaPrint® charts to coach members not only the where to trade but more importantly when! Steve graduated from Xavier University in 1995 with a BS in Finance. Mr. Vettorel began his career in 1996 with Fidelity Investments, Inc.; a division of Boston based FMR Corp. Steve worked on the option/equity trading desk, later in portfolio management and was awarded the coveted President’s Circle award twice. Steve was recruited away by Fisher Investments, Inc. out of Woodside, CA to serve as Regional Vice President. Over the following 4 years he raised $140 million for the firm and was proud to work alongside famed investor and Forbes columnist Ken Fisher. In 2006, Mr. Vettorel, along with his Fisher colleague, formed Aumenti Capital Management, LLC. The firm was a L/S futures and equity based tactical Hedge Fund. 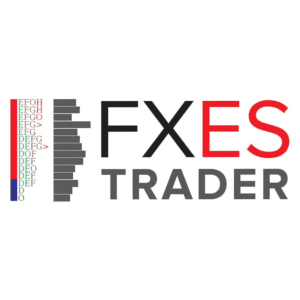 With years of professional trading experience Steve and the FXESTrader.com team has the knowledge to teach traders to become more professional in their approach and to help cut their learning curve tremendously. Learn everything you wanted to know about trading the futures markets via the CME/NYMEX or Eurex. Learn Investor/RT, DeltaPrint and Auction Market Theory via the Market Profile on a top charting software platform! Day Types, Open Types, IB-days, Ranges, Volume, Singles, Ledges and Patterns. Learn the best 10+ trade set-ups on MP/DeltaPrint, for the ES, NQ, 6E (Euro Fx), GC, CL and DAX contracts. Includes access to our 3 classes recorded in HD, all on our private cloud. Also, access to all 60+ e-books, Excel/Word files, trade set-ups, trade plans and pdfs for download from our Microsoft OneDrive cloud. All Investor/RT custom chart definitions and trade signals included! Learn to read order flow on the AMS DeltaPrint (Footprint) chart and its order imbalance algo! Learn why the Globlex (overnight session) auction is so important to know before the open (RTH). Watch trades unfold and see firsthand what set–ups to take. A simple and straight forward path to trading consistently! All teaching is done in our online WebEx room. OneDrive invitations will be sent once payment is received. We use Kinetick, DTN Iqfeed or CQG to feed data to Investor/RT. NEW! +5 hrs. of live (one on one) mentoring!! !